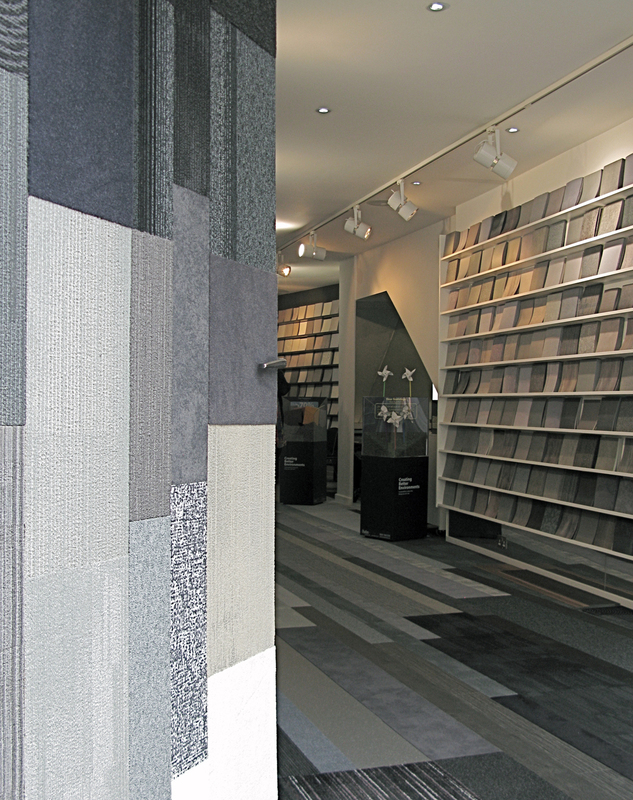 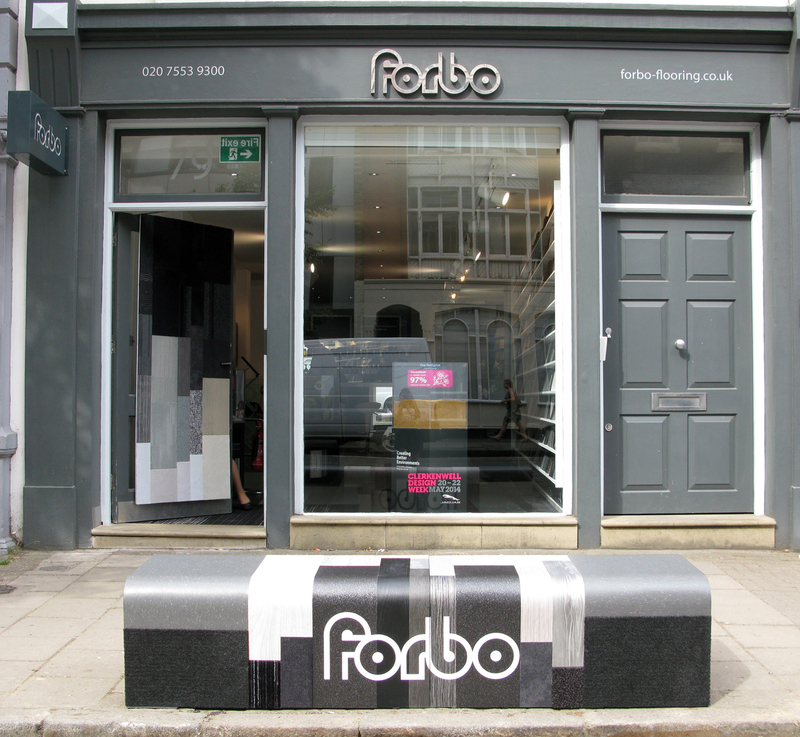 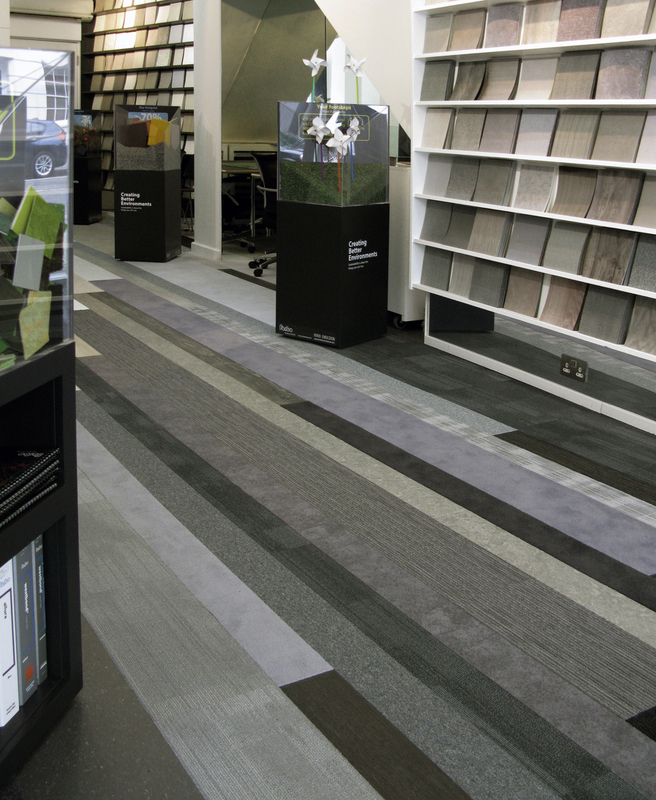 To complement Forbo‘s new fantastic showroom floor, Emulsion were commissioned to design some companion pieces especially for this year’s Clerkenwell Design Week festival. 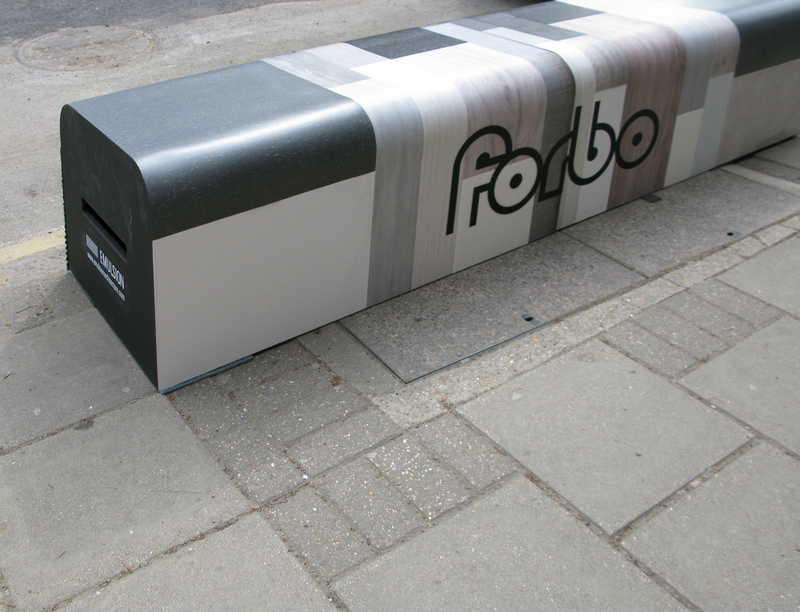 Their linear flooring perfectly showcases the spectrum of their products, so we have continued this concept externally with a bench which the different materials wrap around, and a vertical panel that expresses the varying tactile qualities. 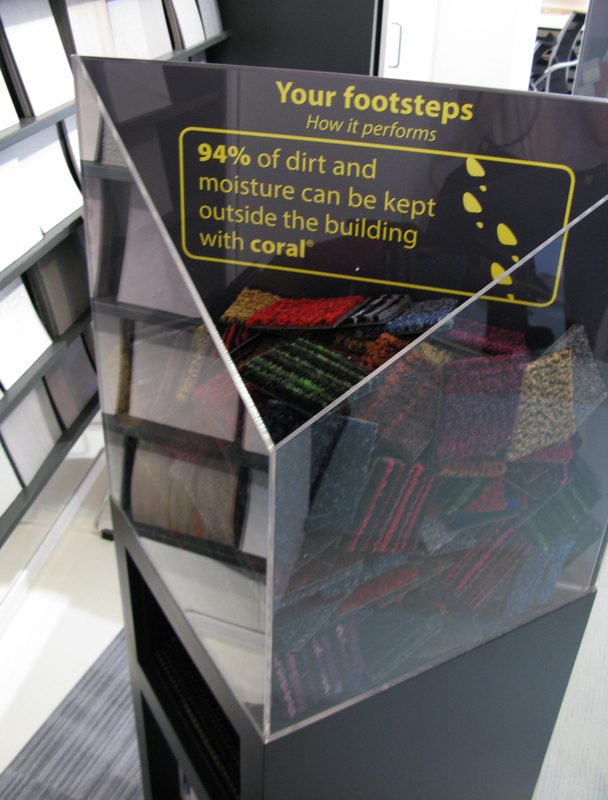 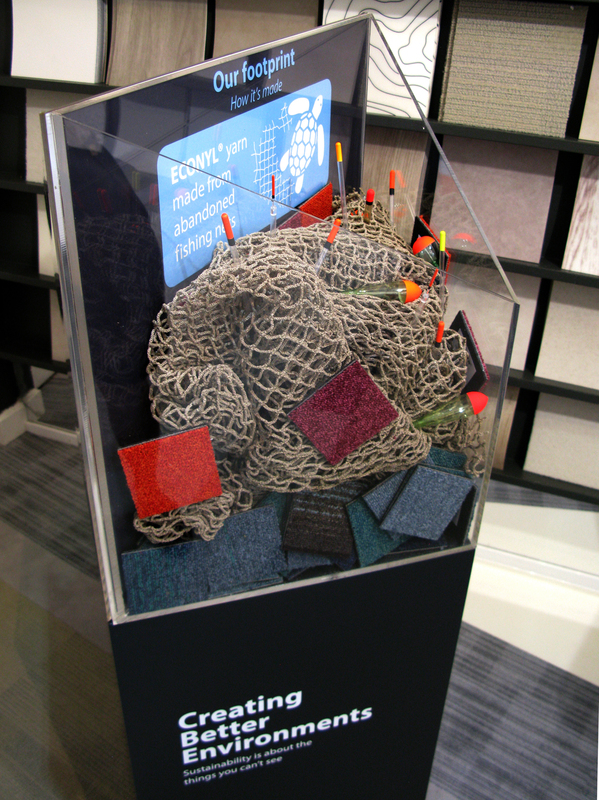 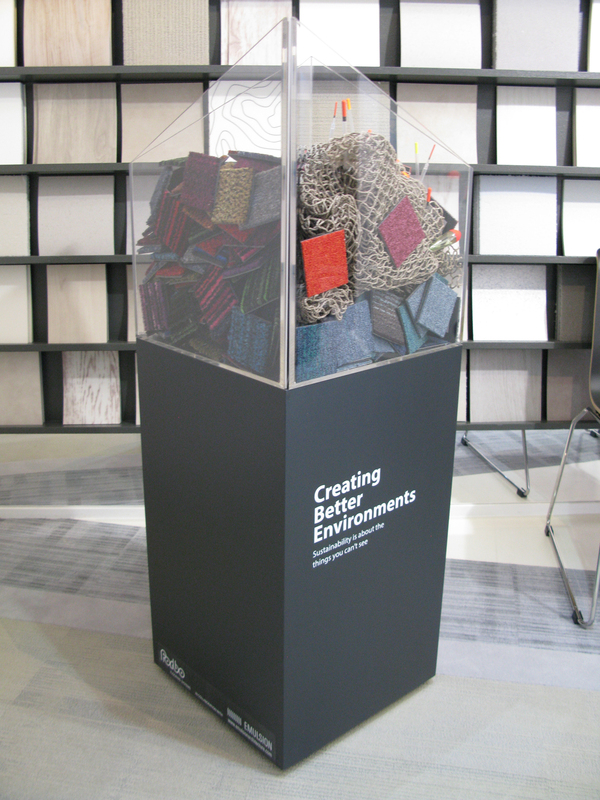 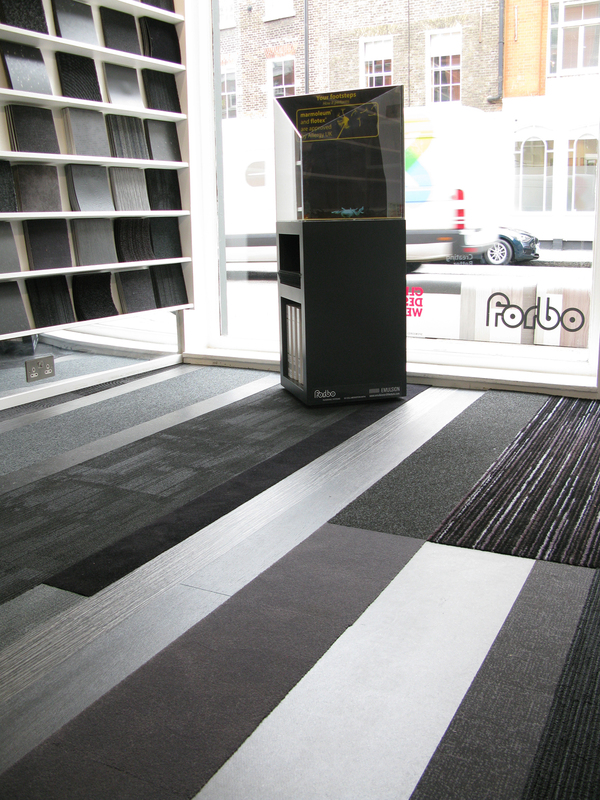 Also, we have developed Forbo’s “Creating Better Environments” exhibit: the company’s sustainability message conveyed in a series of plinths that invite you to play, experience and learn, filled with content including raw materials such as linseed and fishing nets.